NAPAD.pl Online Store is the largest store in Poland with professional security systems. Device catalog available in a wide range of products distinguishes the best solutions for CCTV installation, Network IP CCTV, alarm systems, Access Control, or even installing wideodomofonowych and fire protection systems. and provide professional technical assistance on products sold. See for yourself, Why cooperate with us! Our goal is to provide the best possible conditions for our partners. We offer a very favorable discount thresholds, that allow access to the most competitive prices. We attach great attention to the quality and reliability of delivered products and services świadczonego. Nasz sklep został oznaczony logiem “;Rzetelna Firma”; symbolizing the arena of business contacts. To meet the needs of customers, we strive to provide the most complete responses and suggest the best possible solutions. We provide professional advice at every stage of the purchase and operation of devices. Convenient system that generates personalized product offers the ideal tool for installers m.in looking to create product lists in PDF electronic version with its own logo and corporate data. For customers who want to get help in creating their own alarm and surveillance system we provided an electronic forms, which will help designing their ideal system that suits them best. Purchasing in our store, each customer receives full information about the product and its applications. At any time, you can also direct us your inquiry by email or telephone. during the working hours of our company. Purchased products pass without delay to implement the same day between the hours of 8:00 to 15:00.
and institutions. 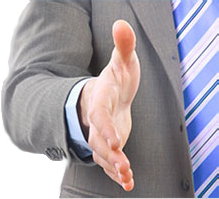 We are a reliable partner in business.